As a UConn first-year, it’s interesting to watch my friends who are high school seniors endeavor through the college application process. It’s allowed me to reflect on my personal experience with the procedure which, despite the fact that it was in the fall of 2017, still feels like a week ago. Despite the ups and downs that came with the transition to college, I haven’t had a single regret about choosing Storrs as my home for the next four years. Since I’ve been a Connecticut resident my whole life, I’ve grown up right with UConn. I look back fondly on when I fawned over the women’s basketball team in third grade; I remember signing up for ECE courses every year of high school; and, I think about all of the news I’ve consumed about the school and all of the informal campus tours I’ve taken because my father is an alumnus. Naturally, when it came time to choose universities to which I’d apply, picking UConn was a no-brainer; it felt like a rite of passage as a Connecticut high school senior. However, having grown up in a wealthy, academically competitive town, I faced internal stigma throughout the entire process of applying, extending even to summer orientation. 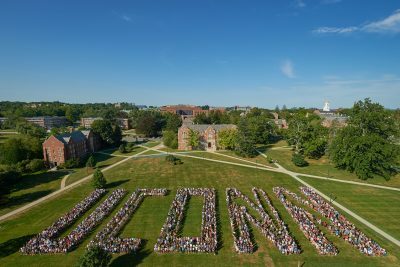 While the bulk of my classmates were attending private universities and Ivy League schools, I felt anything but special being a part of UConn’s class of 2022. The notions of UConn as ‘high school 2.0’ because of the many neighbors who studied there and it being considered a ‘last resort’ school stuck with me throughout the entirety of my senior year and up until the first day of classes. I felt defeated, even before my first graded assignment. With one semester almost under my belt, I can definitively say that none of my worries or hypotheticals came to fruition. Instead of falling asleep because of boring lectures, I’ve been taking riveting and challenging classes with intelligent and complex professors. Rather than feeling alone and disappointed, I’ve attended the fall involvement fair and signed up for the women’s rugby team and clubs like PIRG, all of which I look forward to every single day. In place of hating and not engaging with my new school, I’ve cheered on teams in Gampel, attended several Late Night events, painted the Spirit Rock, toured the Benton, eaten at the Dairy Bar, pulled late nights in Babbidge, and even petted Jonathan XIV. With each new activity I try and every new place I discover, I fall in love with UConn even more– and realize how wrong the negative little voice in my head was. With the plethora of resources on campus, I’ve been able to see how exceptional a UConn education is and where it can take me after I graduate. Every day, I’m reminded of how I made the right choice in choosing to attend UConn. With all of the newfound pride in my school and state, it’s difficult to not want to spread all of the joy I’ve found in my college experience. At the end of the day, I’ve come to realize that the stigma surrounding attending UConn as a CT resident or attending a public university in general is useless; it was just a mental product of my upbringing in a seemingly perfect town. With all the negativity aside, I’ve been able to open my eyes and discover how rewarding it is to live in Storrs and attend a university with a beautiful campus and a perfect level of academic rigor. Even when looking at my friends who attend Harvard, Columbia, Johns Hopkins, or Northeastern, I have no regrets choosing UConn above all of the schools I was accepted into. During the year-long process of applying and enrolling into a college, if anything, I’ve learned that your college experience isn’t what someone else wants it to be or tells you it has to be; your time is truly what you make of it, no matter where you are. You’ll look back and remember all of the friends you made, the traditions you took part in, and the stress you experienced that was ultimately worth it; and you’ll realize that what will matter are the memories, not how expensive your tuition was. 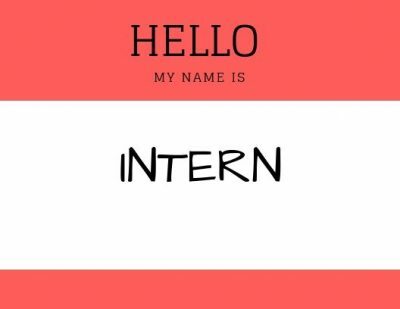 My first internship happened to be on the earlier side – the summer after my Freshman year. I had no idea of what I wanted to do as my career, let alone that summer. At that time I was currently a Spanish major and preparing to apply to the business school. However, I was fortunate enough, and an internship at a New York City Public Relations agency presented itself through a family connection. This PR agency happens to value its confidentiality and privacy of their clients. However, while searching for the other two internships I have had, I used primarily LinkedIn while also searching Husky Career Link. This specific company had their internship set like a rotational program. They made sure that every couple of weeks, we switched from one area of the company to another. My ‘stops’ around the office were Social Media, Crisis Management, Public Relations and Events. Throughout this program the agency made sure to include ‘Lunch & Learns’ for us five interns. Those lunches consisted of us meeting with those in high positions, including the two founders of the company, and listening to their experiences and advice while getting to ask them questions we had. Lastly, the program also had the interns complete an end of the summer project where we worked together in groups, created and presented a PR pitch to six people from the agency. Never having had an internship before, I was not aware of most programs and terminology in the Communication field. Jumping into something that fast-paced can definitely be scary and overwhelming; however, your supervisor is there to help you. By asking how to do something or what way they want something done can be extremely helpful to learning how a company formats their work. As the program progressed I became more confident, as l realized that I didn’t have to rely only on what I knew, but that I could rely on the collective wisdom of those around me. During a Lunch & Learns with one of the company founders, he stressed the importance of networking and challenge us to complete networking goals throughout our time there. Each rotation in the program, we were each placed with three or so people in that area of the company. I followed that advice, and set the goal of keeping in regular contact with everyone I’d worked with on my rotations. Whether it was saying good morning or stopping by during the day for a quick word, the simple gesture made my time there more enjoyable and it helped create connections for later. I also made sure to connect with those I worked with on LinkedIn and I made sure to get their email as well. I made sure to reach out to them when I was finished the internship, to make sure the relationship I built during my time with the company did not end once I left. Throughout this internship, we were constantly on the move, learning new things almost daily. It was important that with all the information we were gaining, we had to keep it separated into their specific areas of work—such as, for example, crisis management. In order to keep our work organized, this company gave me a folder to hold all of my information. In the folder, they had already placed some quick tips and helpful reference guides, in case I needed any clarification on general areas of work. From there on out, I would print out everything that I did, with approval of course, and put it into the folder. By doing so, I was able to see what I learned from each of the four sections of the company, as well as producing a small ‘portfolio’ of what I had done that summer. Even though this was my first internship in the communication field (or at all, for that matter), I was able to learn that I was heading in the right direction of what I wanted to do after I graduate. I was able to experience, first hand, some of the different possibilities that a communication major can offer. Because I enjoyed my experience so much, I even went on to find another PR internship the next summer, at another agency, which helped confirm my strong feelings towards a career in PR. In my second internship I was truly able to hone in on what I liked and what I didn’t. I realized that although I enjoyed working at an agency, I wanted to do something more specific, like a brand. I wanted to learn how to work for one specific company, to understand the brand identity and make relationships with the brand itself. Without having this first internship, I would have never been able to explore the field of communication represented by Public Relations, and understand my own particular interests within PR. Some people might worry about not having a positive or enjoyable experience, but I would say you still would learn a lot, even from the negative moments. I learned that even if this were the case, you still would learn that the job is not the best fit for you. Sometimes you have to learn what you don’t like, before you can learn what you DO like!